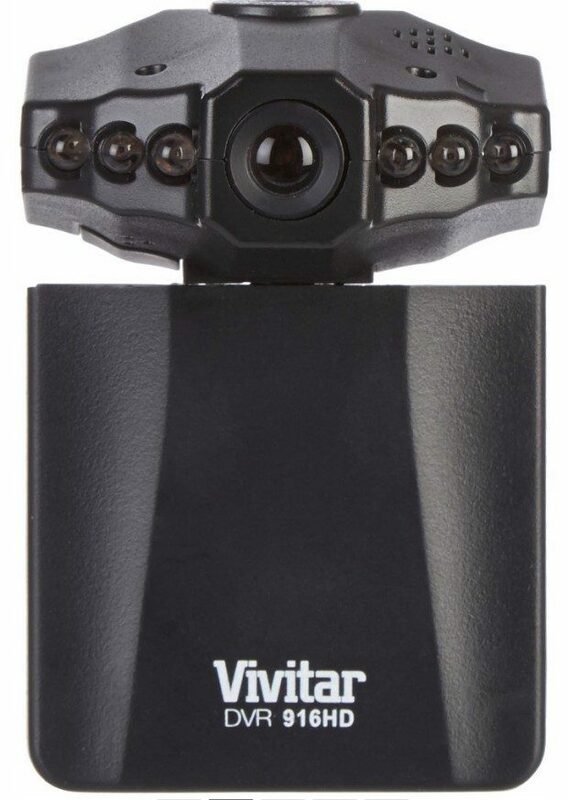 Vivitar DVR HD CarCam Just $26.24 Down From $100 PLUS FREE Shipping! You are here: Home / Great Deals / Christmas Deals / Vivitar DVR HD CarCam Just $26.24 Down From $100 PLUS FREE Shipping! You can get this Vivitar DVR 916 HD CarCam for just $26.24 Down from $100 PLUS FREE shipping! I hate that we have “stepped” into this world… but, a car cam may be one of the safest things you can purchase this year. Right now it’s on sale for $34.99 but you can use code: CYBER at checkout to drop the price and get FREE shipping! Vivitar CarCam HD driving recording system features a 2.4 inch LCD screen, built-in microphone, built-in webcam, 90 degree wide angle lens, and a rechargeable battery. Compatible with Micro SD memory cards up to 32 GB.